Posted in What do you carry to remove tight tubeless and procore Presta valve locknuts? Margin is gross profit divided by MSRP. 2019 Santa Cruz Bronson V3 Ridden in B.C. - July 4, 2018, 9:47 a.m.
Öhlins TTX Trunnion Shock & RXF 36 Coil Updates - May 4, 2018, 10:49 a.m.
2019 Fox & Marzocchi Hands On - May 3, 2018, 1 p.m.
Just picture it with red lowers. Giro Launches New Flat Pedal Shoes - April 17, 2018, 1:20 p.m.
Who's sweet custom splatter paint-job Kona Operator is that? Need to see more of that bike please!! World's Lightest Mountain Bike? 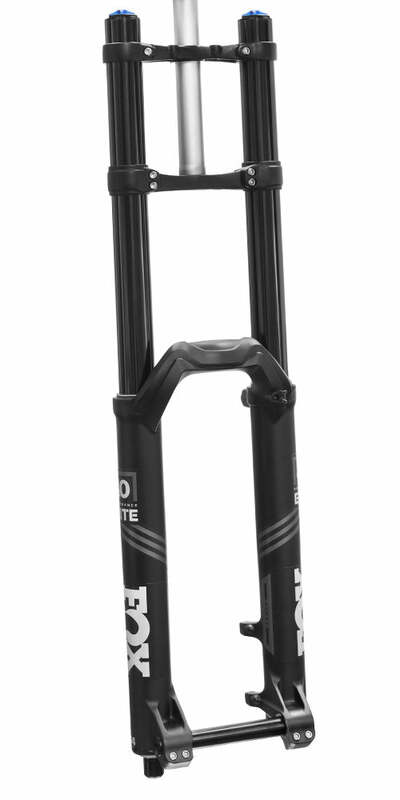 (4.5kg/9.9lbs) - April 10, 2018, 1:49 p.m.
TIL all bikes I can ride on a trail are "fully functional MTBs". World's Lightest Mountain Bike? (4.5kg/9.9lbs) - April 10, 2018, 11:08 a.m.
My First Time Riding the North Shore - Nov. 21, 2017, 10:29 a.m. I highly recommend turning on the auto closed captions. If only for Weed Simmons and Two Almonds Better Ham. Alchemy Arktos Custom - Sept. 21, 2017, 11:12 a.m.
"a comparitive bargain" - "$6,200USD"
2017 Spot Mayhem 29 - Sept. 18, 2017, 3:51 p.m.
Just FYI, the link on Perry's name to his instagram at the beginning of the article is spelled wrong and it's a super spammy site I was just redirected to, not instagram. 2018 Kona Process Carbon - Sept. 13, 2017, 12:32 p.m.
Good luck with that. Declaring it at the border, as you are legally obligated to do, would result in a 13.2% import duty, plus (in BC) a 5% GST charge. So that's $300 more, plus gas and time to drive down there and back. No thanks, I'll support my local bike shop instead. Re: What do you carry to remove tight tubeless and procore Presta valve locknuts? - March 7, 2017, 10:57 a.m.
well in my HUMBLE opinion, we take somewhat complicated machines into the forest and push them and ourselves to their limits…it would be fool hardy to not bring repair kits for the bike and rider with us. Its just me perhaps but ive seen the needle and the damage done so i ride prepared for the worst possible scenario….not being able to remove a valve stem is pretty ….uh….amateur. But, but, aesthetics bro! If it doesn't fit in a DaKine Camo Hot Laps 1.5L fanny pack, I don't need it! What do you carry to remove tight tubeless and procore Presta valve locknuts? - Feb. 22, 2017, 2:50 p.m. Seriously though, it can't be hard to machine something like this. Get NSB on the case! They'll make dozens of dollars in profit! What do you carry to remove tight tubeless and procore Presta valve locknuts? - Feb. 22, 2017, 2:49 p.m. So am I the only one who carries a proper tool kit when riding? ….maybe now i know why im always the trailside mechanic for others……it must weigh all of 2 lbs. That doesn't sound like it would fit in an endurbro fanny pack. 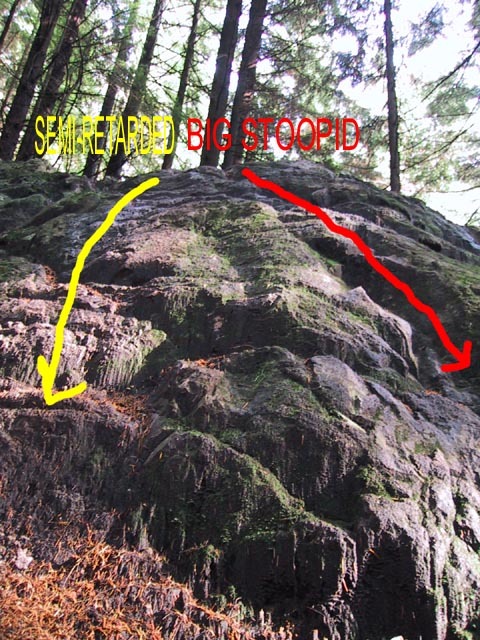 The Big Stupid (Fromme) - Feb. 21, 2017, 8:52 p.m. It's one of the two (?) lines on this rock face. I can never remember if Big Stupid or Semi Retarded is on the right. Semi retarded is to the right. Crazy Pills - Feb. 21, 2017, 3:48 p.m. So if the shop is making 35% margin on the SC @ $13,950 it's $13,950 - ($13,950*.35) = $9,067.50. I have no idea what constitutes a "premium" brand. Marketing I guess. YT has a world cup DH team and some incredible freeriders, I would consider them premium. SC also has a world cup team and a bunch of rad enduro riders. I would also consider them premium. Crazy Pills - Feb. 21, 2017, 3:31 p.m. I've never worked in a shop that sold Giant, so I can't speak to their margins. I'm also taking a good deal of liberties assuming that YT and SC are making roughly the same as shop margins. Maybe they make more, maybe they make less. One thing for sure is, the more people that have to make money off something (ie: distributors and/or bike shops), the more expensive the product is going to be. The bikes themselves may be directly comparable, but the business models are definitely not. People think they're comparing apples to apples (the bikes), but they are actually comparing apples to oranges (the price, which is a result of differing business models). Crazy Pills - Feb. 21, 2017, 3:16 p.m.
What is it that I'm missing here. What's to miss? YT is consumer direct and SC is a premium brand sold by retail bicycle shops. Retail shops operate on ~35% margins on bikes, so if $13,950 is MSRP @ full margin it cost the shop $9,067.50 to buy. And SC has to make money on it too, so let's assume they make ~35% margin. That means it cost SC about $5,893.88 to get that bike to their warehouse to sell to shops. Consumer direct brands cut out shops and distributors. They can make their full margins and sell for way, way, way less. Let's assume YT make ~35% margin as well. That $7,599 bike cost them $4,939.35 to get to their warehouse to sell directly to you. Comparing those two price points there's a ~$950 difference between the YT and the SC. Definitely conceivable to have a $950 difference considering a few of the spec differences. It's adding in that second 35% margin that puts the SC into the stratosphere. What do you carry to remove tight tubeless and procore Presta valve locknuts? - Feb. 21, 2017, 2:57 p.m. I work in the industry and got it from the Stan's rep directly. I would think it would be on their website?? Is it not?? so this clamps onto the stem or the little nut ? The little nut/lockring. Slip the circular part over the lockring, pinch the other end and turn as a wrench. Works like a charm. Also can be used to pinch the flattened tooled parts on a valve with removable core. What do you carry to remove tight tubeless and procore Presta valve locknuts? - Feb. 20, 2017, 11:44 a.m.
Also works okay as a makeshift pair of tweezers, but not the best for that. What do you carry to remove tight tubeless and procore Presta valve locknuts? - Feb. 20, 2017, 10:14 a.m.